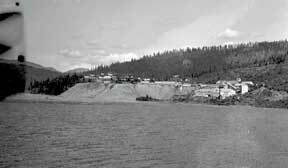 When Wells was first established, the Jack of Clubs lake used to reach the bottom of the hill that Bowman Crescent is situated on. 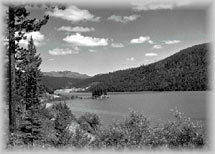 The lake was filled in with tailings from the mining activity of the Cariboo Gold Quartz, located directly above the Lake. 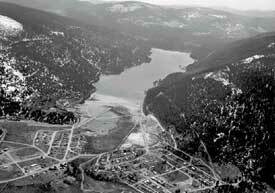 As a result the water from the lake was pushed back year after year, to where it is today (as seen in arial picture). Today the Jack of Clubs is used by many for canoeing, boating and fishing. There is an annual Jack of Clubs Fishing Derby held every year.